Is Trump to be Assassinated? Whatever your feelings about Trump, he’s not completely submerged in the neocon/empire establishment and he’s resonating well with republicans. His election would be a major inconvenience for the bipartisan satanists and terrorists who control the war on terror and our steady march to domestic conquest. This site sometimes publishes things that can’t be confirmed even over long periods of time. But they claim to have insider connections in russia’s intel establishment, and such a media outlet would be useful to the russians for both true and false stories, the same as the any establishment media. This story seems extremely believable. Professor Graeme MacQueen has written a new book on the 2001 anthrax letter attacks. These attacks were widely blamed on extremist Muslims and their backers and used to support the invasions of Afghanistan and Iraq. They were also used to justify and hasten the passage of the USA PATRIOT Act, which was being presented to Congress just as the first anthrax victim grew ill.
MacQueen has begun doing interviews about the book, which has received much advanced praise. “Professor MacQueen provides yet another piece of the puzzle connecting the terrorist attacks of September 11, 2001 to the immediately following anthrax attacks of October 2001 that were indisputably conducted by Agents of the United States government.” – Francis A. Boyle, author of the U.S.domestic implementing legislation for the 1972 Biological Weapons Convention. The website for the book can be found at this link. White Helmets: War by way of Deception Part II ~ “If it looks like an executioner.. The NGO ‘soft power complex’ is now one of the most destructive global forces. It is employed as an interface between civilians of a target nation, with government, economic or military structures of the colonialist force intent on harnessing any given nation’s resources or undermining its geopolitical influence. The Democratization process, or the path to regime change is facilitated by these undercover government or corporate proxy employees who, once embedded into a society, set about producing the propaganda that will justify intervention, either economically, politically or militarily. NGO propaganda will often employ slick social media marketing which is underpinned by advance applied behavioural psychology and advanced NLP-based ‘social enterprise’ sales pitches. A recent piece by researcher Eva Bartlett entitled, “Human Rights Front Groups [Humanitarian Interventionalists] Warring on Syria“, provides a detailed insight into how this new breed of weaponized politics is being deployed right now in the Middle East. The perception of a ‘non profit’ complex who purport to be “working for the betterment and improvement of humanity” can be a difficult nut to crack, but it must be done. In the west. Similar to a Satanic/Luciferian cult? “He is from Al Raqqa which is an ISIS stronghold, but he works in Damascus as a construction labourer. He visits his wife and children every other weekend. He is allowed in and out, however his family is not allowed to leave Raqqa. He was asked to join them [ISIS], they pay generously. 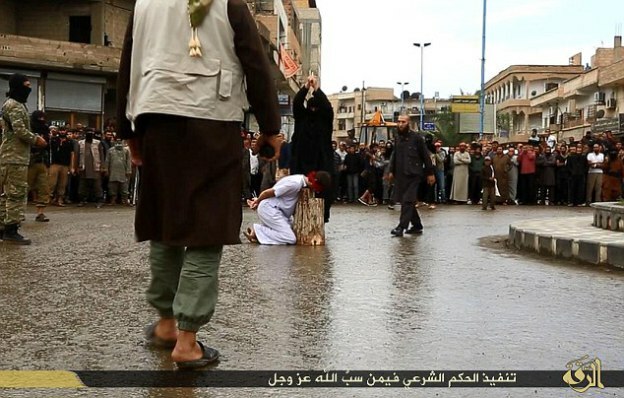 In dollars… however he has to undergo training – execution of a person by chopping off his head – to prove he can be one of them. He said no but… he doesn’t know how long he can fend them off. He says the people of Raqqa want them to leave, however they are too scared… their heads would be the price for rebellion. 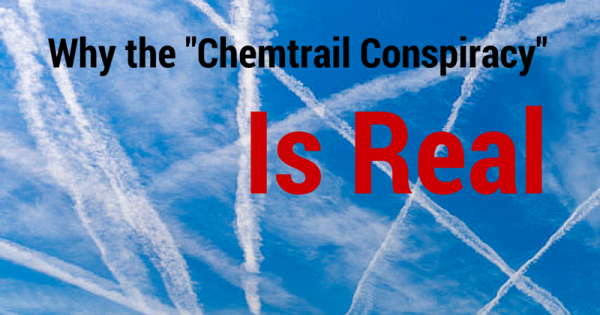 A new study reveals that the so-called “chemtrail” phenomena is no longer the domain of conspiracy theorists, but actually happening and with profoundly toxic consequences to the health of the planet. The money power denounces, as public enemies, all who question its methods or throw light upon its crimes.